Oleoastron Premium olive oil is an innovative flavored olive oil with unique characteristics and belongs in the category of gourmet premium flavored olive oil (evoo). The ingredients of Oleoastron flavored olive oil are Koroneiki variety olives, walnuts, purslane, fennel seeds, oregano, laurel and rosemary. 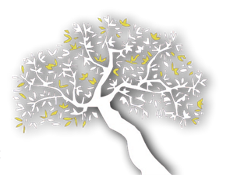 The expertise in producing Oleoastron premium flavored gourmet, lies in the natural infusion of seven ingredients in the olive oil which results in the balance and creation of a unique flavor and a tasty pallet (naturally flavored olive oil). Simultaneously, it offers Oleoastron unique characteristics and more specifically, beneficial omega fatty acids (omega 3, omega 6 and omega 9) derived from the specialized method of production of this flavored olive oil. The natural infusion of the ingredients in Oleoastron flavored olive oil, lead to the creation of a superior gourmet olive oil which is distinguished and recognized constantly in international olive oil taste competitions judged by expert olive oil panel testers of great prestige. 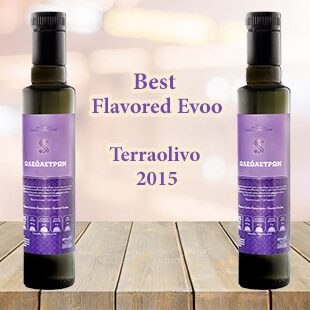 Prime distinction for Oleoastron premium flavored olive oil is the first place (Best Flavored Evoo) at Terraolivo, one of the top international olive oil competitions worldwide while undoubtedly the flavored olive oil Oleoastron Premium is rightfully classified as one of the most unique and multi-awarded flavored olive oils. The naturally flavored gourmet olive oil Oleoastron is an inspiration for culinary creations with flavored olive oil from top chefs all over the world that delight in using flavored olive oil in their dishes.